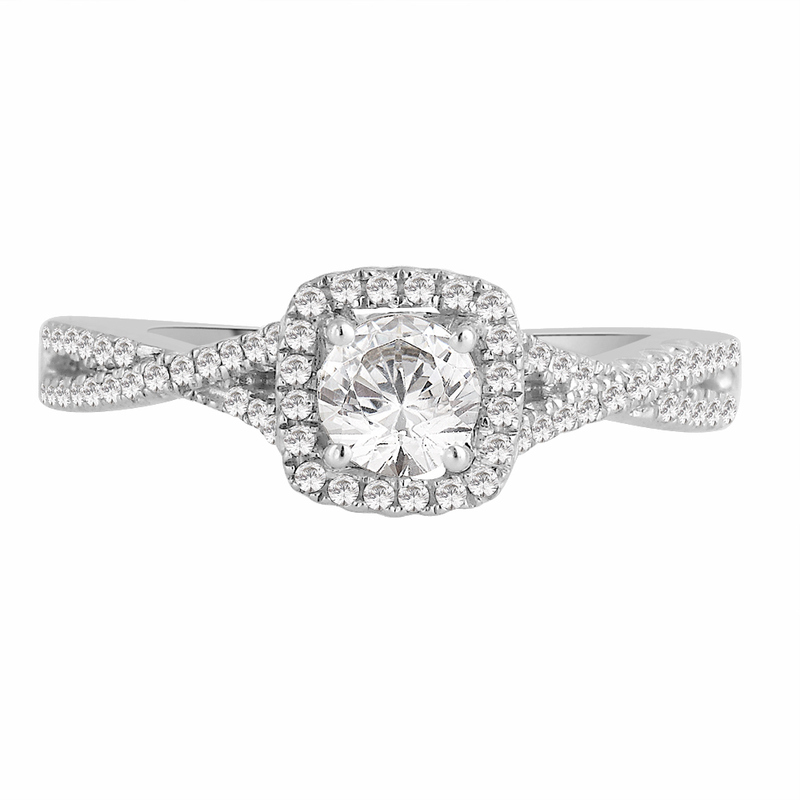 Stunning Diamond Halo Engagement ring with a crossover band. 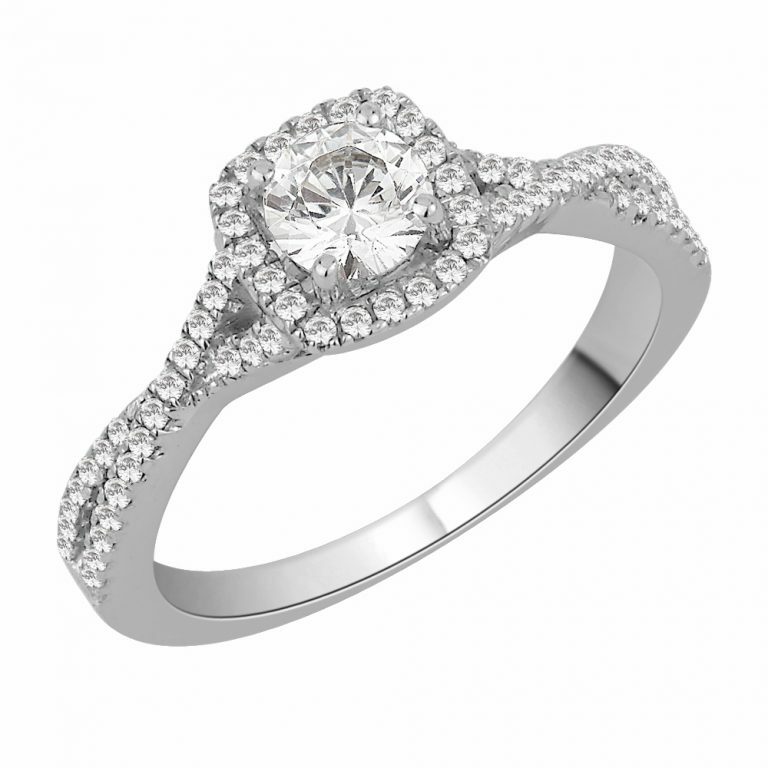 Set with a 0.40ct round brilliant cut diamond centre stone of SI Clarity and G-H Colour. 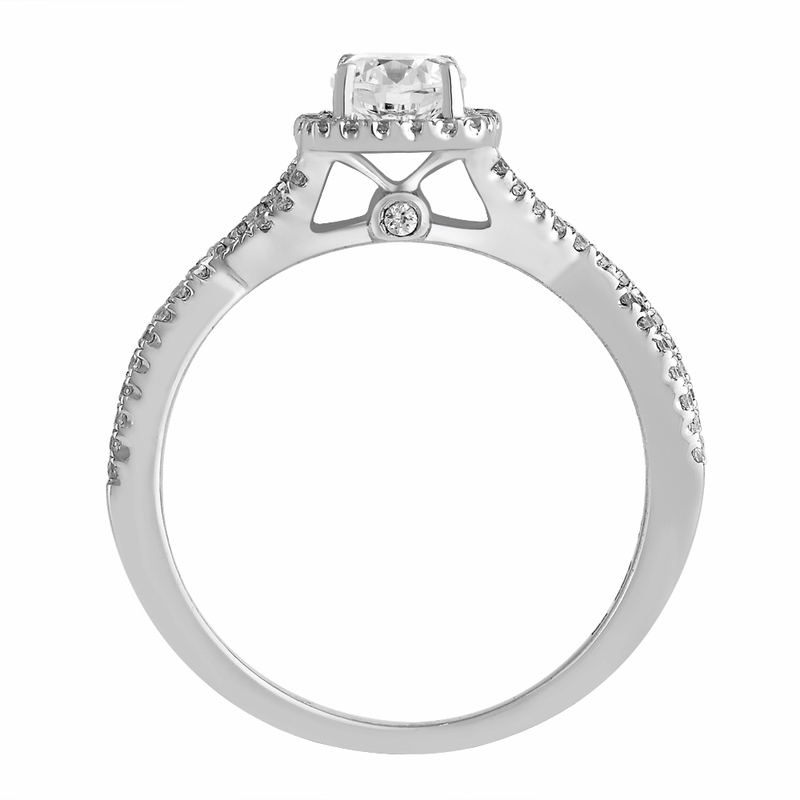 The rest of the band has a stunning finish set with 0.26ct of round brilliant cut diamonds. Made to Order this Items takes approximately 5 weeks to make.